If you're new to yoga, it's important to take things slow. Read on to learn about the best yoga poses that all skill levels can do. Did you know that practicing yoga on a daily basis can improve not only your physical but also your mental well-being? Learning and practicing the best yoga poses from the very beginning is critical to success! Yoga isn’t as complicated as most people think. There are simple poses you can start with as you work your way up to more advanced and difficult postures. With consistent practice, you’ll achieve a great physique and have a clear mind. To kick-start your yoga routine, here are some of the best yoga poses you can try at home or in the gym. Most yoga poses get their names from ancient Sanskrit, thus, they may sound difficult to remember. However, this guide will be your cheat-sheet to mastering the poses you’re likely to encounter in most open-level classes. This pose is widely recognized for its ultimate rejuvenating stretch. It energizes the entire body, relieves stress, depression, and cramping in the abdominal area. Stand on your four limbs to form a table-like structure. Gently straighten your knees and elbows, then lift your hip area to form an inverted “V”. Ensure your feet are in line with your hips and, your hands in line with your shoulders. Now, lengthen your neck and press your hands to the ground. Breathe in deep and out slowly as you feel the lengthening and softening of the stretch. To exit this posture, lift up your heels and drop down your shins to come to the table-top position. 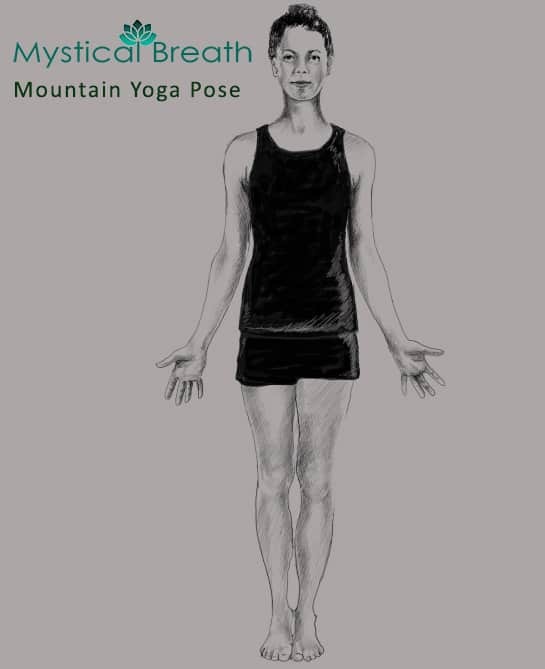 The Mountain Asana, or pose, is one of the best beginner yoga standing poses for a better body alignment. Besides proper body posture, it also helps to get rid of most gait problems in the upper body. It’s one of the best yoga poses for both beginners and novice yogis looking for proper balance and strength. It prepares you for other upright yoga positions at advanced levels. Stand in an upright position with your feet placed together. Spread your toes as far as you can and keep your body weight distributed on both feet. Tuck your hips a little bit inward so that your tailbone points directly downwards. Lift up your thighs and core as you feel the spine elongate. Now, take long, slow breaths for 2 to 3 minutes. Relax to release the pose. If done well, the mountain pose can help you improve your ability to focus by directing your attention to the current moment. 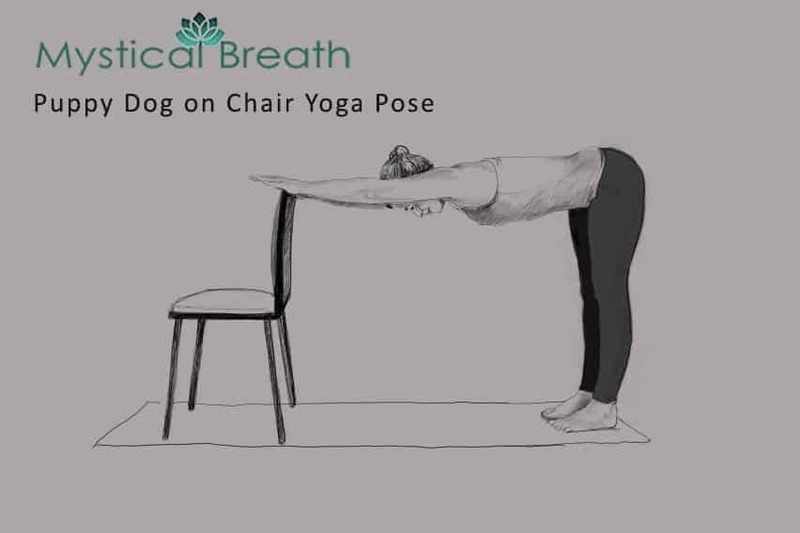 If you found the downward facing dog pose challenging, you can start with a lighter version - the puppy dog on chair. It’s a great pose for beginners as it stretches the hamstrings, improves the spine’s flexibility, and opens up shoulders. Place a chair on one end of your yoga mat. Stand on the other end so that the chair is facing directly away from you. Place your palms on the back of the chair, shoulder-width apart. Step back until your feet align right under your hips. Your body will now form a right angle and your spine should be parallel to the floor. Reach your hips away from the palms, with your feet firm on the ground. Lengthen the sides of your core while keeping your arms firm and stretched. Remain in this position for 2 minutes while taking gentle deep breaths. Do this daily for best results. The triangle, also known as Trikonasana, is one of the best yoga poses for improving your overall health. It stimulates and improves blood flow, gets rid of anxiety, tension, and stress. It’ll also make your groin, hips, and hamstrings more flexible, making it easier to advance into more complex yoga poses. Stand firm on the mat with your feet wide apart. Turn your left foot in slightly and rotate your right leg so that the foot points to the side. Breathe in as you raise your hands upward and parallel with the floor. Bend to the right side as you exhale, your left hand toward the ceiling while the right one touching the right toe. Take deep breaths and relax as you exhale. Stay in this pose for 1 to 2 minutes. Repeat the posture by bending to the left side. Whether a beginner or an advanced yogi, stretching and strengthening your lower back is something you'll enjoy. The bridge is one of the best poses for relieving lower back pain. It also stimulates the lungs and abdominal organs. Lie flat on your yoga mat facing upward. Place your arms straight on your sides. Roll out your upper arms to expand your chest. Bend your knees while keeping your feet hip-width apart on the mat and straight under your knees. Lift your hips as you root down into your heels for better support. Clasp your hands under your back. Take a deep breath and hold. Stay in this pose for between 30 seconds to 1 minute. Exhale as you release, lowering the spine slowly onto the mat. If you feel too much strain, start with a few seconds of the pose and advance into longer holds with practice. These yoga postures are simple and appropriate for all skill levels. Advancing into more complex poses can take time and dedication. The best yoga poses will you help you live a healthier and more peaceful life. To achieve your goals, try to remain consistent with your daily yoga routines. Emphasize on the postures you find challenging in order to master them. 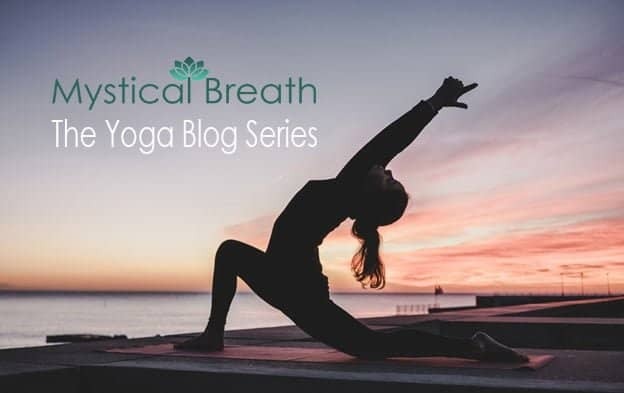 Check out our yoga blog category for more insightful reads on yoga poses and inspiration. What is the Third Eye and How can it be opened? What is the Meaning of Easter and the Resurrection for Christians? Life after death – is there proof? What do science and religion offer?